Somehow, after all’s been said and done, after all the post-fest pickings and snackings and nibblings, there remains a large piece of Fruit Cake from the Christmas feasting, sitting sleepily on the counter. Now, I realise that fruit cake and Christmas Pud will keep until the next Snowy Season (indeed, traditionally, the top tier of a wedding cake is kept safe and sound for the celebration of the Christening of the first chile) but in all honesty, who would want to eat last year’s fruit cake, thrifty though it may be? One, surely, wants to experience the joy of Christmas baking afresh every year, non? Besides, isn’t it enough already? Out with the old to make way for the new, is my motto this week. My cupboard is starting to feel like that one house on the corner which keeps it’s Christmas lights up until the middle of February. I have a bit here and a bob there left over (still!) from the revelries of the fattening season and they must go, people! Fruit Cake, piles of odds and ends in the dried fruit ‘n nuts department and a quarter jar of boozy fruit mincemeat, as well as one last little Christmas Pud, which somehow escaped being given away or eaten at home. It’s time for the Christmas Spring clean. 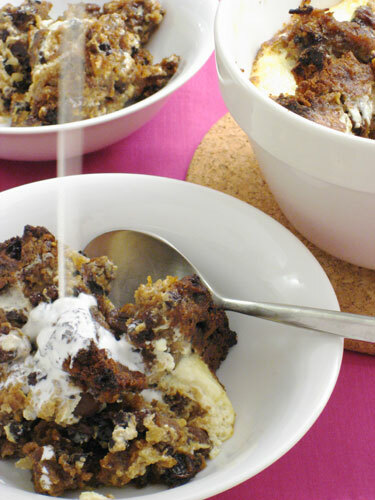 – arrange slices of fruit cake in the dish, then dollop teaspoons of mincemeat around the slices. 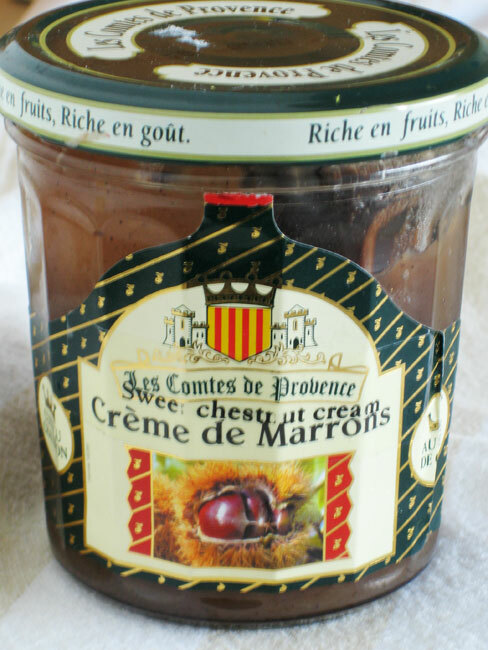 – enjoy with cream or custard, preferable in front of a happy little fire with your feet on the coffee table. Mmmm. Leftovers. I received a phone call from a wonderful friend the other day. “I’m so excited,” she quirped, ” I’m outside a fruit stall and I’ve found the most perfect apples. They’re just too beautiful, I’m going to buy you one.” My kind of friend. And she was right. When we met up later at the Farmers Market, which has sort of become a naughty habitude of ours, she plonked her find down on the picnic table we were sitting at, snacking on various freshly bought goodies, and grinned at me. “Don’t you think?” she asked. I did. I thought very much. Just perfect. 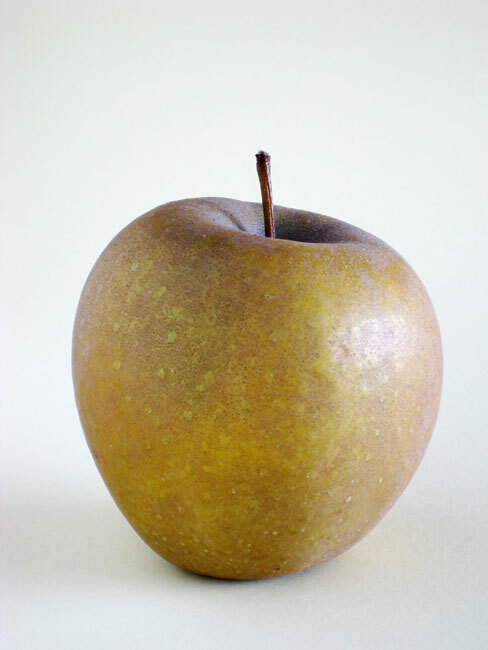 It’s colour somewhere between ochre and chartreuse, the size of a softball, and firm and crisp in texture. I got home, gave it pride of place in the fruit bowl and spent 2 days looking at it before deciding just what would be the perfect ouvre for this perfect apple. A perfect, early autumn apple. 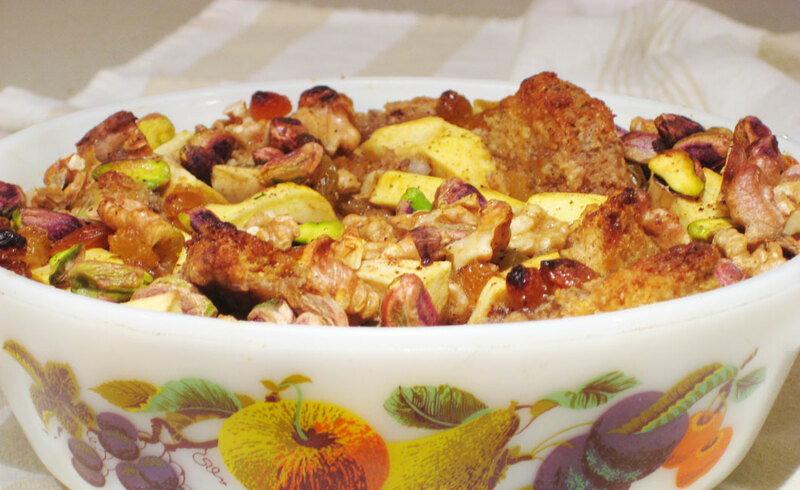 A bread pudding perhaps? Could it be that simple? 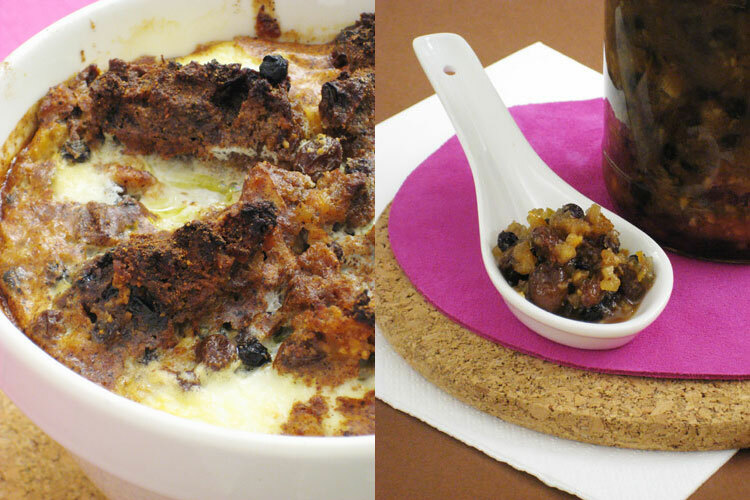 So, the problem I’ve always had with bread pudding is that it often felt like some sort of punishment at home. I was known, as a child (and sometimes as an adult), for living with ‘my head in cloud nine’, as my Mum would say. 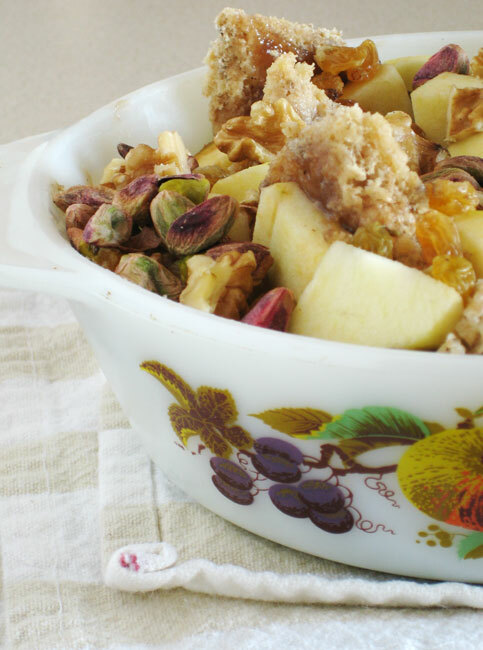 There were plenty occasions growing up where I left my lunch behind on the kitchen counter: peanut butter and jam sandwiches neatly wrapped in wax paper; only to find, later that starving day, that we were having bread pudding for dinner. Peanut butter and jam bread pudding. Needless to say, it’s taken me a bit of time to confront the bread pudding demon from my past and establish that it is, indeed, one of the greatest of comfort puddings known to man. And downright thrifty too, if you don’t mind me saying. 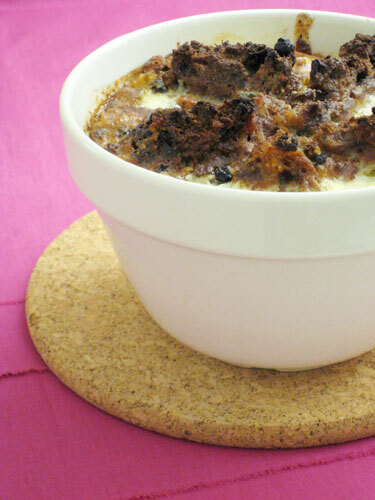 In fact, I might go so far as to say that bread pudding is quite possibly the only acceptable way to head into autumn. An army marches on its stomach, after all. Best be prepared, non? – grease an oven proof dish. Alternate slices of bread and slices of apple to fill the dish. – beat eggs with spices, salt and sugar, then add milk and beat well but not long enough to froth the eggs. – pour milk/egg over bread. Scatter nuts over top and let pudding sit for 5 minutes. This lets the bread absorb the liquid. – bake for about 35 – 40 mins. – serve with vanilla ice-cream or whipped cream.